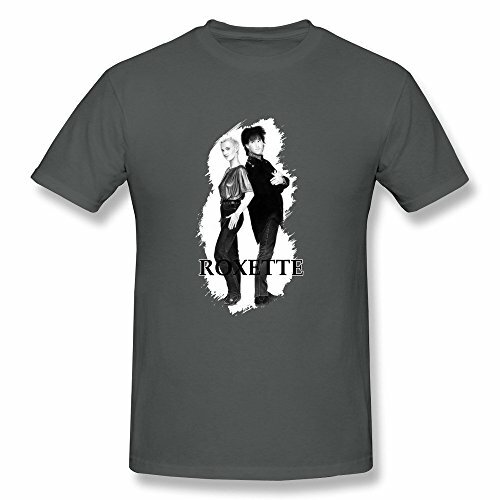 This page is dedicated to the many 80s hit songs by Swedish pop/rock duo Roxette. We've included a video playlist (above) and a sprinkling of Soundcloud mixes for good measure. So grab those headphones and enjoy! 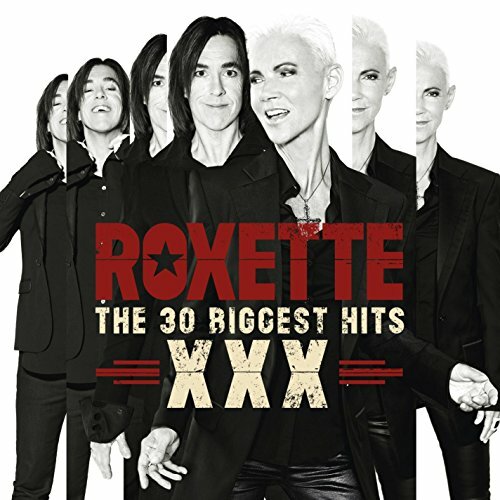 Roxette's power ballads are the Swedish band's most popular videos, which is why I have decided to place them towards the top of this page. This late 80s power ballad was a massive hit, topping the Canadian charts and the U.S. Billboard Hot 100, and also reaching the top ten across Europe. The original release of the single in October 1989 failed to break into the Top 40 here in Britian. However, following on from the success of It Must Have Been Love, a re-release managed to peak at No.6. #Denotes UK album chart highest position. Disclosure: Simplyeighties.com is a participant in the Amazon Associates, Redbubble and Etsy affiliate advertising programs. These allow trusted sites like ours to earn fees by displaying and linking to items at their websites. This powerful song featured on the soundtrack to the movie Pretty Women which starred Richard Gere and Julia Roberts. However, the song was not specially written for the film and was first recorded in 1987 as a Christmas tune, reaching No.4 in the band's home country. A modified and enhanced version was created for the Pretty Woman soundtrack, topping the U.S. charts and peaking at No.3 here in the UK. 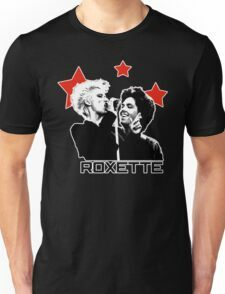 In 1986, Marie Fredriksson and Per Gessle recorded their debut single Neverending Love as Roxette, which was a No.3 hit in their home country of Sweden, and starting a success story that would turn them into the biggest Swedish pop phenomenon since ABBA. 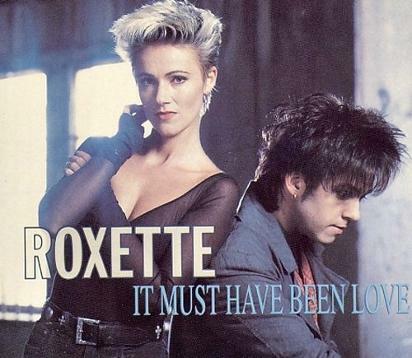 At the end of the 80s, The Look proved to be Roxette's breakthrough single and gave the band their first hit single outside their home country of Sweden. Chart-wise, the song reached #7 in the UK during April 1989, but topped the charts in 24 countries including the US and Canada. It featured on the album Look Sharp! which peaked at #4 in the UK and sold 300,000 copies. Worldwide 9 million copies of the album were sold. 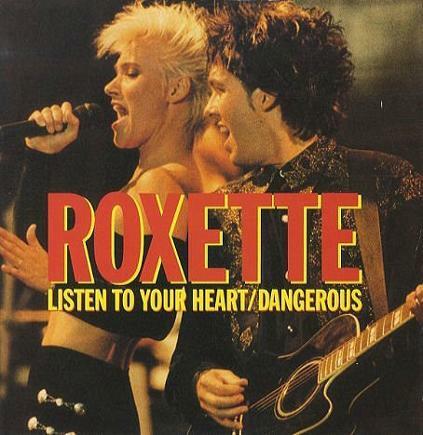 Other hits from the album were Dressed For Success, Listen To Your Heart and Dangerous. A remix of The Look was released in 1995 (UK only) to coincide with the release of the band's greatest hits album entitled Don't Bore Us, Get to the Chorus! 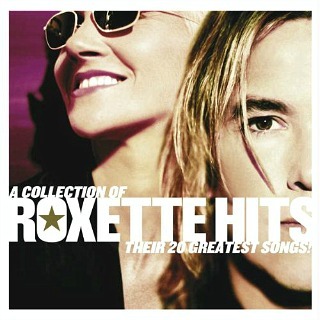 - Roxette's Greatest Hits. The Look '95 reached #28 in the UK singles chart. Even though the Look Sharp! 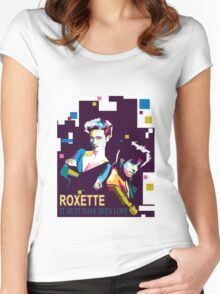 album was extremely successful during the late 1980's, Roxette's 1991 album Joyride was their most successful and sold 11 million copies worldwide. 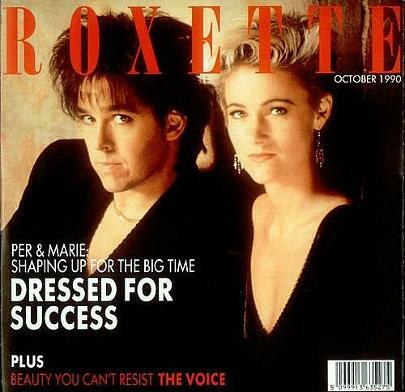 Dressed For Success was Roxette's second worldwide hit single, reaching #18 in the UK. 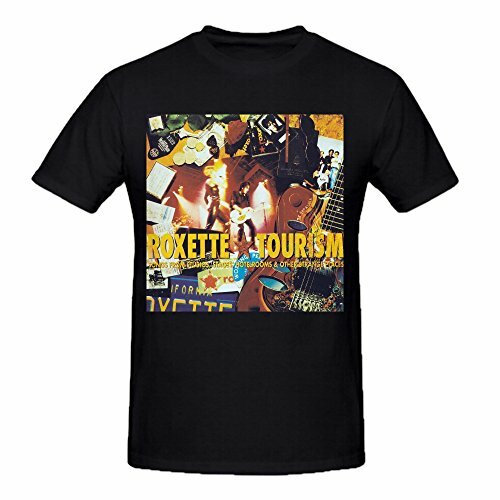 The song had been released 12 months earlier in most other countries, and was the follow-up to The Look, lifted from the band's second studio album in Sweden Look Sharp!, and was their very first album release in the UK. The duo were still discovering their sound on this album, which is packed with solid tunes, although they sounded even better on the next album, Joyride. This song brings back some wonderful memories from the early 90s, when I would go out to a nightclub with my friends most weekends and dance the night away - I certainly danced to this one on a regular basis, or I tried to, at least! 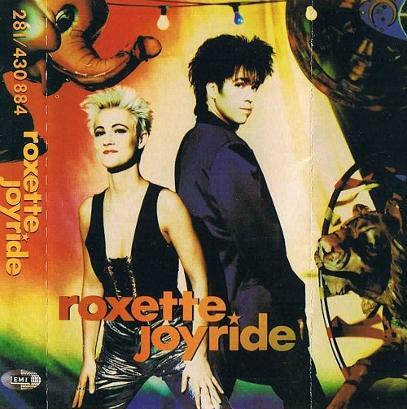 Here we have the official video for Joyride, which was the title track and lead single from the album and was released in February 1991, reaching the top of the Billboard Hot 100 in America and peaking at No.4 in the UK. The song was also a major hit across Europe. 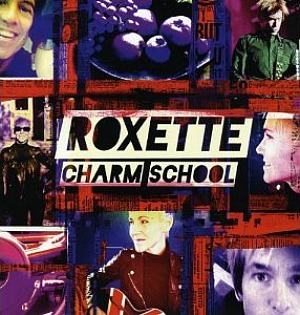 Apparently, the opening line "Hello, You Fool, I Love You" came from a message left on Per Gessle's piano by his girlfriend. 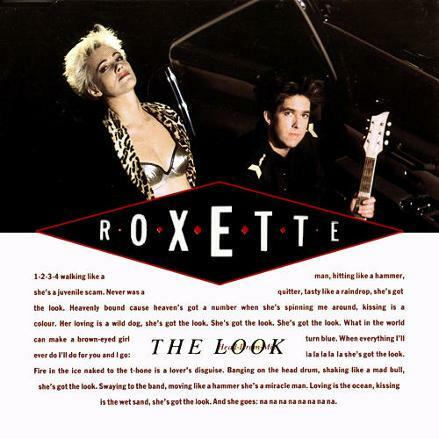 Gessle teamed-up with Marie Fredriksson in 1986 to form the Swedish pop/rock act Roxette, although it wasn't until 1988 with the release of the album Look Sharp! that the duo achieved their first commercial success. In 1989, the single The Look became their first chart hit in the UK and across Europe, also topping the Billboard Hot 100 in the U.S. Many of the tracks on the Joyride album have a strong 70s American rock influence, but there is a good splattering of 90s pop thrown in, together with some strong melodies, making for an enjoyable listen. Many fans see the album as their best work, and it spawned four more hit singles in the UK; Fading Like A Flower (Everytime You Leave), The Big L, Spending My Time and Church Of Your Heart. 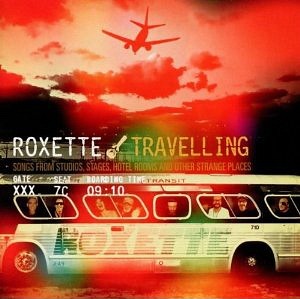 Roxette were on top form with their 2012 album Travelling.